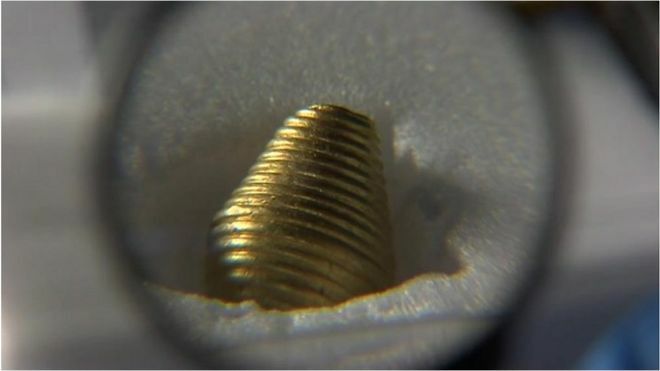 Archaeologists believe they have found a lost Anglo-Saxon royal palace near one of Britain's best known finds. Archaeologists have been studying an area at Rendlesham, about four miles (6km) from the Sutton Hoo burial site. Faye Minter, project co-ordinator, said the remains of a 23m (75ft) by 9m (30ft) structure could have once been a royal hall or palace. 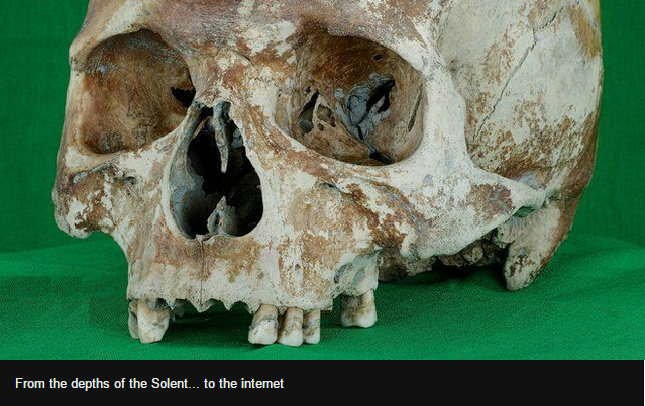 And she said it was "likely" there are "other royal burial sites" like Sutton Hoo dotted along the River Deben. The hall find, said Ms Minter, of Suffolk County Council's archaeological unit, might be the same "palace" referred to by the Venerable Bede in the 8th Century. A computer model simulated human density 80,000 years ago, showing the arrival of humans in eastern China and southern Europe as well as migrations out of Africa along vegetated paths in Sinai and the Arabian Peninsula. Ancient human migrations out of Africa may have been driven by wobbles in Earth's orbit and tilt that led to dramatic swings in climate, a new study finds. Modern humans first appeared in Africa about 150,000 to 200,000 years ago. It remains a mystery as to why it then took many millennia for people to disperse across the globe. Recent archaeological and genetic findingssuggest that migrations of modern humans out of Africa began at least 100,000 years ago, but most humans outside of Africa most likely descended from groups who left the continent more recently — between 40,000 and 70,000 years ago. THE REMAINS of what could be an Iron Age broch have been identified in a loch near Whiteness by a researcher from the University of Aberdeen. Michael Stratigos found the site on one of the three Holms of Hogaland islets in the Loch of Strom. He said the majority of the islet, which is the smallest of the three, is covered by a large mound around 3m high and 16x14m across. It is unclear at the moment whether the find is the remains of a broch or of a roundhouse. A small circular depression in the centre is believed to be the "internal space" of the structure. 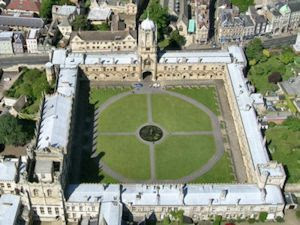 There are also the potential remains of orthostats, or piers, while coursed stonework was noted. 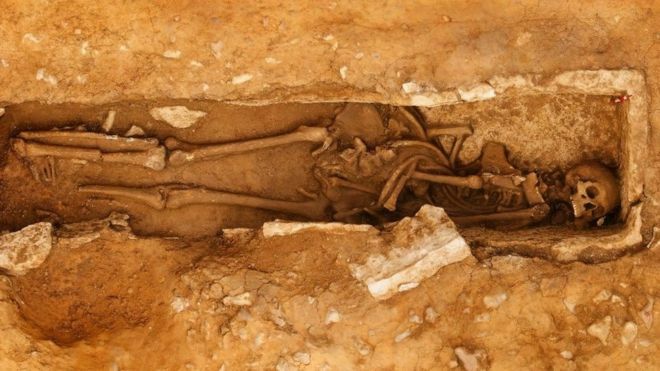 The skeleton of a Roman man who had his feet bent backwards to fit in his coffin has been found in a quarry in Dorset. Archaeologists made the discovery at Woodsford, near Dorchester, where they have been carrying out excavations for several years. Thames Valley Archaeological Services said the man died in his 20s or 30s. Tests are being carried out to determine how he died and to understand more about his "unusual grave". The limestone sarcophagus was found in a 1.80m (5ft 11in)-long, 0.55m (1ft 10in)-wide and 0.3m (1ft)-deep grave. Les fouilles préventives réalisées sur prescription de l’Etat par une équipe d’archéologues de l’Inrap sur le parc Saint-Georges avaient mis au jour, en 2003, 16 bateaux dont un chaland datant du deuxième siècle de notre ère, vraisemblablement utilisé pour le commerce fluvial sur le Rhône. Propriété de la Métropole de Lyon, ce chaland est destiné au musée gallo-romain de Lyon Fourvière. 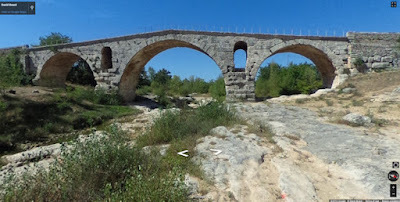 Dans cette perspective, il a subi une restauration complète, conjointement pilotée par un archéologue de l’Inrap et une restauratrice d’Arc-Nucléart. 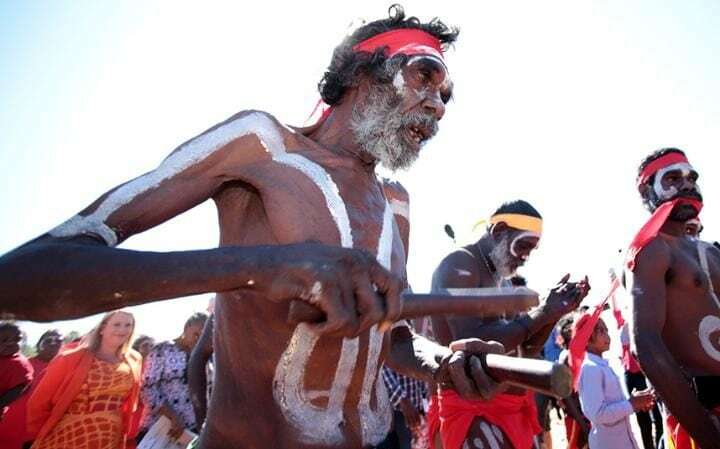 The first extensive study of Indigenous Australians' DNA dates their origin to more than 50,000 years ago, backing the claim that they are the most ancient continuous civilisation on Earth. Scientists used the genetic traces of the mysterious early humans that are left in the DNA of modern populations in Papua New Guinea and Australia to recontruct their journey from Africa around 72,000 years ago. Experts disagree on whether present-day non-African people are descended from explorers who left Africa in a single exodus or a series of distinct waves of travelling migrants. The new study supports the single migration hypothesis. It indicates that Australian aboriginal and Papuan people both originated from the same out-of Africa migration event some 72,000 years ago, along with ancestors of all other non-African populations alive today. Work resumed at the site of Smerquoy, on the Orkney Mainland, at the start of this month, involving a team of archaeologists from the UHI Orkney College, the University of Manchester and the University of Central Lancashire, as well as volunteers. Excavations in previous years uncovered the remains of early Neolithic houses, alongside more ephemeral remains and structures. In this final year we hope to understand the sequence of house construction across the site and definitively date the different phases of use. O the surface, Oppenheim looks like your typical German town resting along the banks of the Rhine River. But there's more to Oppenheim than beer halls and a Gothic-style cathedral from the Middle Ages. Beneath its narrow cobblestone streets lies something deeper—an entire labyrinth of tunnels and cellars. “The town is practically honeycombed with cavities,” Wilfried Hilpke, a tour guide with Oppenheim’s tourism office, tells Smithsonian.com. A new archaeological excavation in Denmark reveals the remains of graves and buildings that span the Stone Age, Bronze Age, the Vikings, and right up to the Middle Ages. Archaeologists are busy unearthing the traces of three thousand years of activity at Silkeborg, west Denmark. 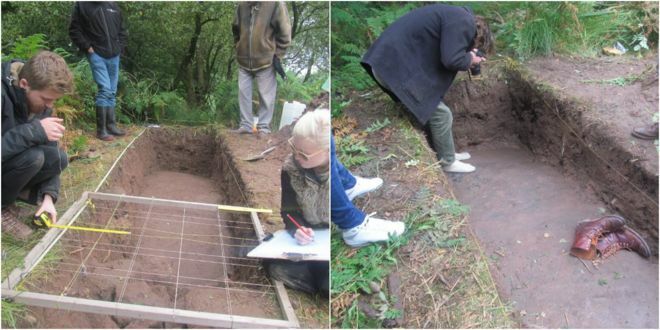 Excavations have already revealed pit-houses, which were typically used as workshops during the Viking era, and residential homes in the so-called Trelleborg style (see Fact Box), together with several graves. At least two of the graves could have accommodated high-status Vikings. “There’s been activity here at least since the Stone Age,” says one of the archaeologists involved in the dig, Maria Thiemke, from the Silkeborg Museum, Denmark. 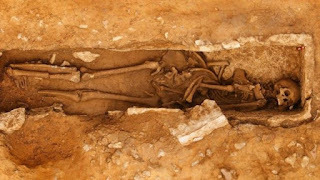 “There’s at least 14 houses and five graves from the Stone Age, Bronze Age, right up until the Middle Ages,” says Thiemke. A recent archeological find in Iceland suggests that the country may have been inhabited as early as the year 800, or 74 years earlier than its official settlement date, Vísir reports. Four weeks of excavation in Stöðvarfjörður, the East Fjords, under the direction of archeologist Bjarni F. Einarsson, have revealed some of the most interesting signs of human presence found i the country. They suggest a longhouse was built there shortly after 800, but until now, Iceland’s first permanent Nordic settler, Ingólfur Arnarson, is said to have arrived in 874. 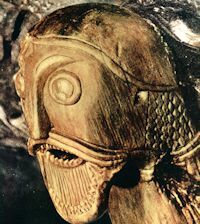 Signs of human presence from a similar time have been discovered before in Kvosin, Reykjavík, in Hafnir, Reyjanes, and in Húshólmi by Krýsuvík. “We’ve started detecting a longhouse-shaped structure with thick floor layers,” Bjarni stated. The long-fire is missing, but a fireplace is coming into view by one of the gables, by the wall. Scientists in Italy’s Dolomite mountains have unveiled what they believe to be the world’s oldest snowshoe. Carbon-dating has shown that the rudimentary snow shoe, made of birch wood and twine, was made in the late Neolithic age, between 3,800 and 3,700 BC. 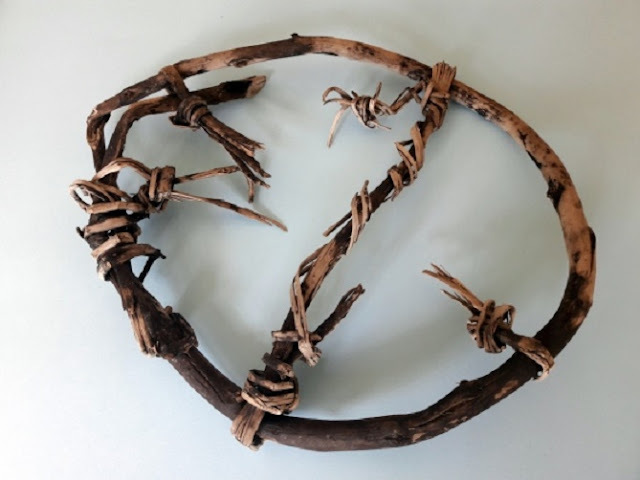 “It is the oldest snowshoe in the world so far discovered, dating to around 5,800 years ago,” scientists said in a statement. It was discovered by chance at an altitude of 3,134 metres (10,280ft) on the Gurgler Eisjoch glacier, close to Italy’s border with Austria. The ice and freezing temperatures of the glacier had provided “ideal conditions for the preservation of organic material,” the researchers said. Researchers from Swansea University unveiled the scans to coincide with theBritish Science Festival, taking place in the Welsh city this week. A prehistoric stone panel said to be the "most important in Europe" is being unearthed for the first time in more than 50 years in Clydebank. The Cochno Stone dates to 3000BC and is described as one of the best examples of Neolithic or Bronze Age cup and ring markings in Europe. Located next to a housing estate, the stone was buried in 1965 to protect it from damage. Excavation work started on Monday and is expected to last three weeks. Hunters tracking geese in the wilds of southern Iceland have returned with an unexpected catch - an incredibly well-preserved 1,000 year old Viking sword. The group of hunters fortuitously stumbled upon the weapon in Skaftárhreppur, south Iceland, a region badly hit by floods last year. Pictures of the Viking weapon of war - a double edged sword - show it to be in remarkably good condition, save for the tip which has broken off. The sword is slightly curved at the point and due to years of exposure the metal blade has partially corroded. But despite years out in the open, splinters of wood can still be observed around the handle. Archaeology has gotten better at estimating the timeline of civilization. But there are limitations for the earliest cultures thousands of years ago, like the Maya and the Egyptians. Dating can’t get more precise than within a few centuries for those ancient peoples. But a pair of highly-radioactive solar storms that occurred long ago left their indelible mark in trees growing at the time – and could provide important new touchstones for dating civilizations, argues an Oxford team in the journal Proceedings of the Royal Society A. Levels of the isotope carbon-14 spiked during Miyake Events, in the years 775 and 994 A.D., and is encased like a “secret clock” within timber, papyrus, linen garments, baskets and other artifacts, the team says. The Miyake Events are thought to be solar storms that bombard the Earth with gamma rays and massive amounts of solar protons, spreading the irradiated particles worldwide. “The spikes in 775 and 994 A.D. were almost vertical and of comparable magnitude all around the Earth,” said Michael Dee, the lead author, from Oxford’s School of Archaeology. “Such markers can be easily identified in known-age tree-rings and are fixed in time. 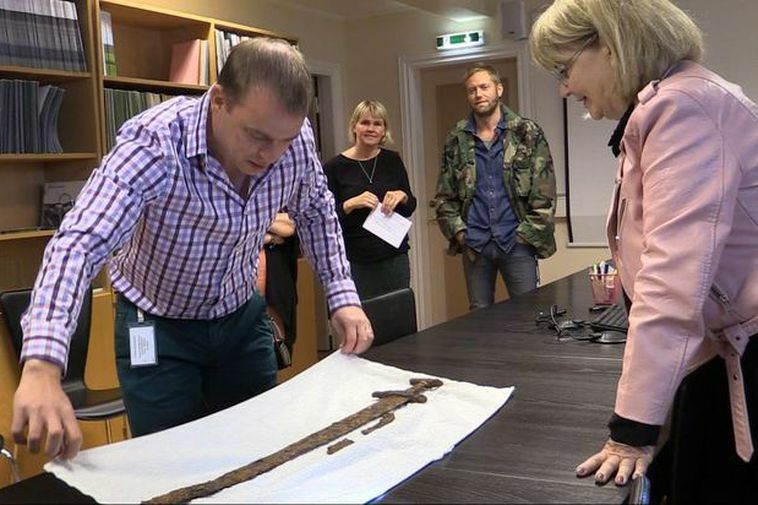 A few friends hunting for geese accidentally discovered an impressive Viking sword this weekend which they handed over to the Cultural Heritage Centre of Iceland. 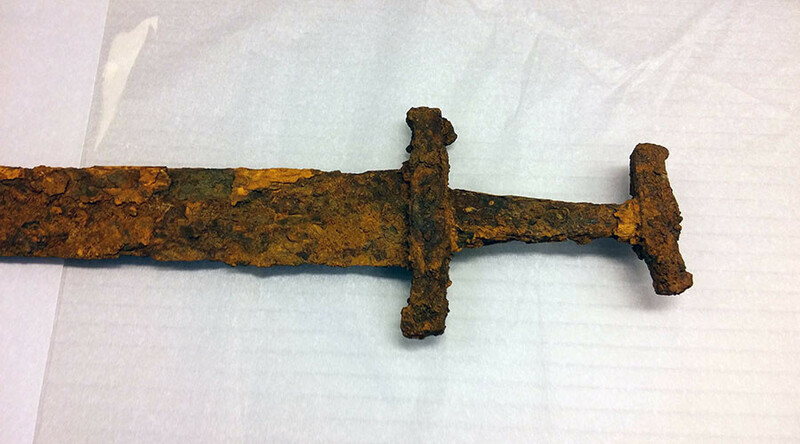 The sword was found in Hrífunes, South Iceland. Only 20 such swords have been found in Iceland and this one is in a very good condition. Experts believe it dates from between 900 - 1000 AD and that it was placed in a pagan grave. Les archéologues étudient les vestiges de l’Abbaye Saint-Faron (VIIe-XIXe siècles) établie sur un quartier antique. La fouille permettra d'appréhender les états médiévaux de l’abbaye et d’analyser les modalités de son implantation sur les vestiges antiques. Rue Saint-Faron, préalablement à la construction d’un immeuble d’habitations, l’État (Drac Île-de-France) a prescrit des recherches archéologiques menées par l’Inrap de juillet à décembre 2016, sur 1570 m2. Les archéologues étudient les vestiges de l’Abbaye Saint-Faron (VIIe-XIXe siècles) établie sur un quartier antique. Fondé au VIIe siècle par Faron, évêque de Meaux, le monastère est d’abord dédié à Sainte Croix. Il prit ensuite le nom de son fondateur canonisé. Disparue du paysage urbain meldois avec la Révolution française, l’abbaye a fait l’objet de deux interventions archéologiques. L’une, en 1990-1991, a permis de repérer l’église abbatiale (Danielle Magnan, SRAIF), l’autre en 2012 de dégager une portion du cloître (Erwan Bergot, Inrap). La fouille actuelle, porte sur la partie sud de l’établissement monastique qui, d’après les sources historiques, est réservée à l’abbé. Son objectif est de pouvoir appréhender les états médiévaux de l’abbaye et d’analyser les modalités de son implantation sur les vestiges antiques.